Concept design for a 7,000sf loft space located within the Industry City complex in Brooklyn, overlooking the East River and Gowanus Bay. The client had been seeking a larger industrial space to design, fabricate and prototype future retail concepts for restaurants worldwide. Having committed to Industry City, which offers shared amenities that typical warehouse properties do not, the program needed to be compressed to fit. 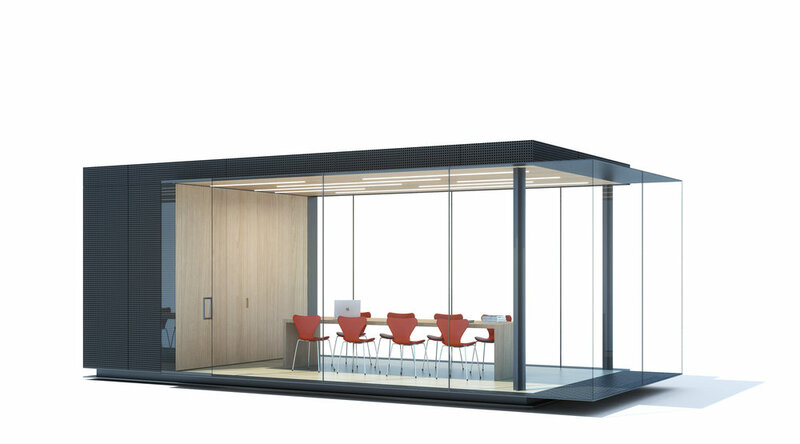 Rather than compromise the key program requirements, Shenton Architects proposed flexible solutions including a mobile office/meeting pod. The glass enclosed pod could be moved into different locations within the space via steel tracks in the floor. 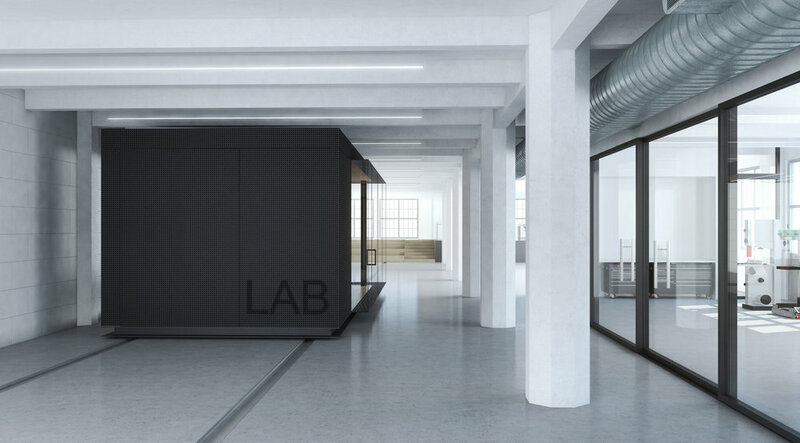 Potential configurations included engaging the pod with the entry foyer to provide privacy, or with the raised platform at the East end to create a larger work space. The ceiling, structure, and existing walls are left exposed, revealing the building’s raw industrial quality. 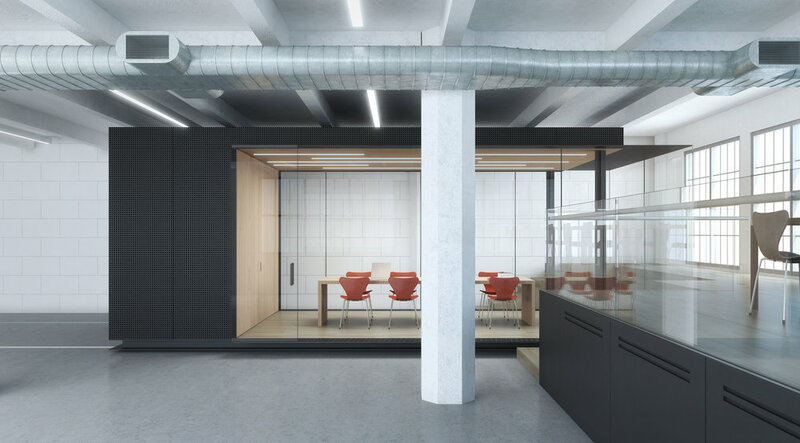 New materials are limited to architectural concrete flooring, powder coated steel, clear glass, white painted walls, and birch plywood cabinetry.